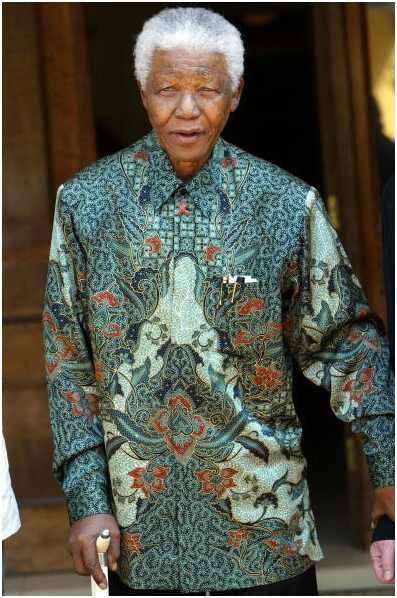 Nelson Mandela popularised the Indonesian shirt design, which came to be known by his name. He favoured these Batik-printed, vibrant shirts over any other attire even on many formal occasions. 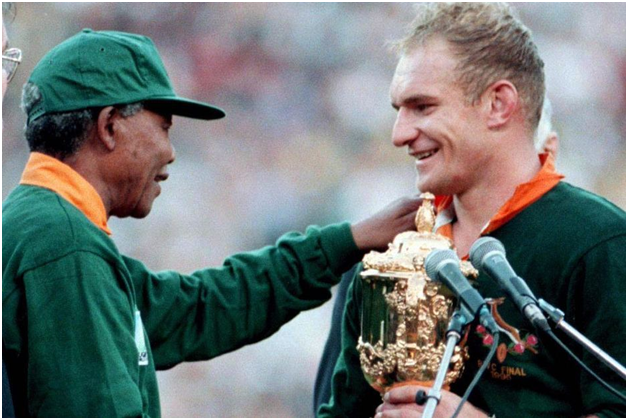 In a bid to prevent brain drain and exodus of white Afrikaners after abolishing apartheid, Mandela exhorted the black majority to support the widely-hated all-white South African rugby union team, the Springboks, in the 1995 Rugby World Cup. It was intended as a show of solidarity in the event that South Africa hosted, and an attempt to bring about reconciliation between the two races. The Springboks went on to win the tournament againt New Zealand. This instance was the premise for the 2009 film, Invictus. 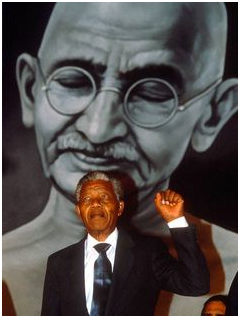 It is widely known that Mandela was greatly influenced by Mahatma Gandhi and his non-violent philosophy against the oppressors. But he also started an armed wing in the African National Congress, the Umkhonto we Sizwe, to retaliate against the use of force by the then ruling authority. 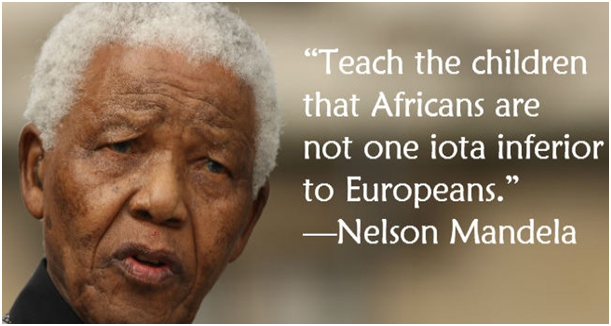 Mandela was also influenced by Marxism and Jawaharlal Nehru’s socialist ideals. He envisioned a classless society much like traditional African society, where human existence would be communal, codependent and equal. 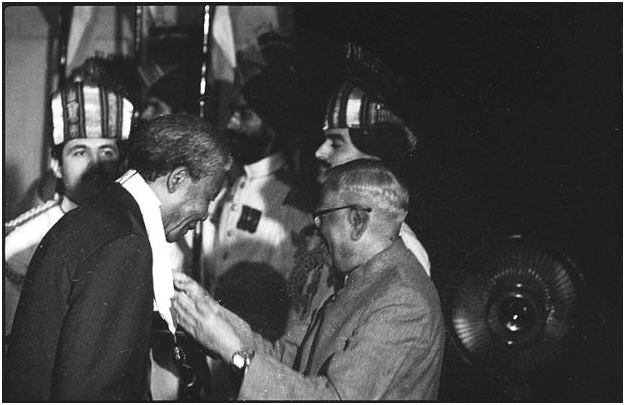 Nelson Mandela was awarded the Bharat Ratna, India’s highest civilian honour, in 1990. He is only the second non-Indian who has been given this award, the other being Khan Abdul Gaffar Khan. 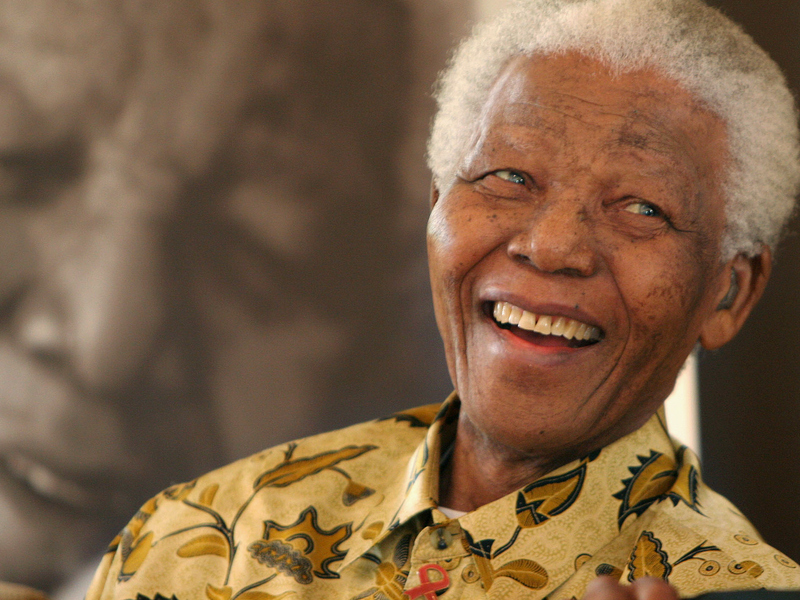 His birthday, July 18 has been proclaimed by the United Nations as Mandela Day. To commemorate his 67 years of fighting against apartheid, it calls on individuals to spend 67 minutes doing something for others, on that day. 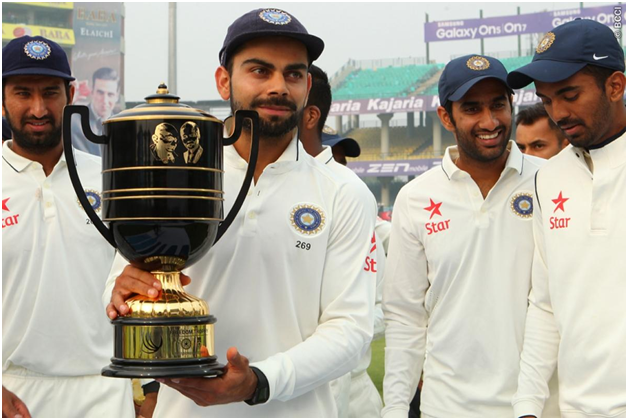 The Freedom Trophy, awarded to the winner of the test cricket series between India and South Africa, pays tribute to Mahatma Gandhi and Nelson Mandela. Know more inspiring anecdotes and events from the life of this legend? Share with us in the Comments below!